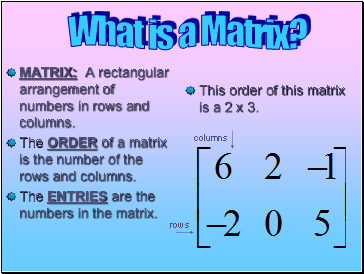 MATRIX: A rectangular arrangement of numbers in rows and columns. 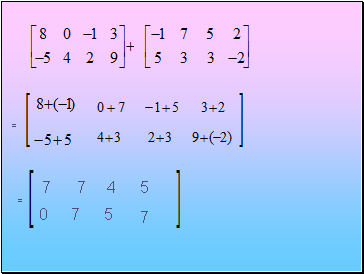 The ORDER of a matrix is the number of the rows and columns. 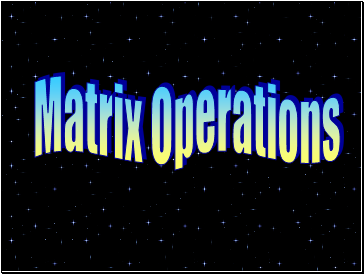 The ENTRIES are the numbers in the matrix. 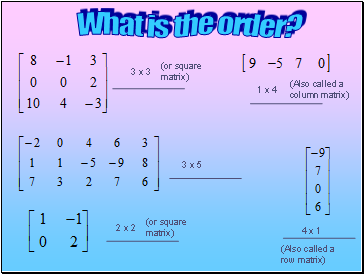 This order of this matrix is a 2 x 3. 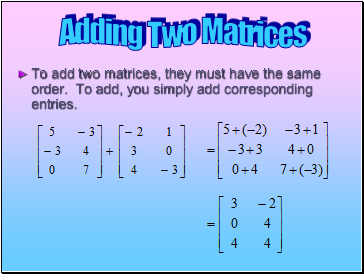 To add two matrices, they must have the same order. To add, you simply add corresponding entries. 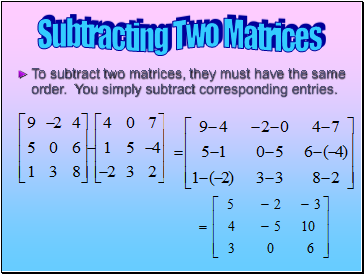 To subtract two matrices, they must have the same order. 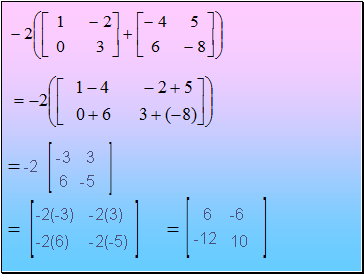 You simply subtract corresponding entries. 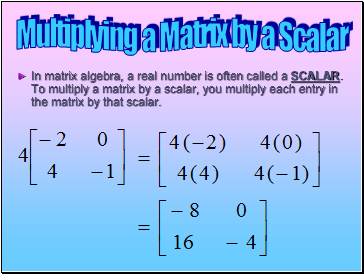 In matrix algebra, a real number is often called a SCALAR. 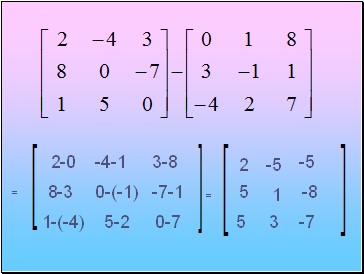 To multiply a matrix by a scalar, you multiply each entry in the matrix by that scalar.